Current hearing aids create artificial listening experiences by closing down sounds. This deprives the brain of the context needed to make sense of sound and deprives the listener of a dynamic sound experience. Guided by Oticon’s BrainHearing™ audiological approach, Oticon Opn™ is engineered to better support how the brain processes sound. 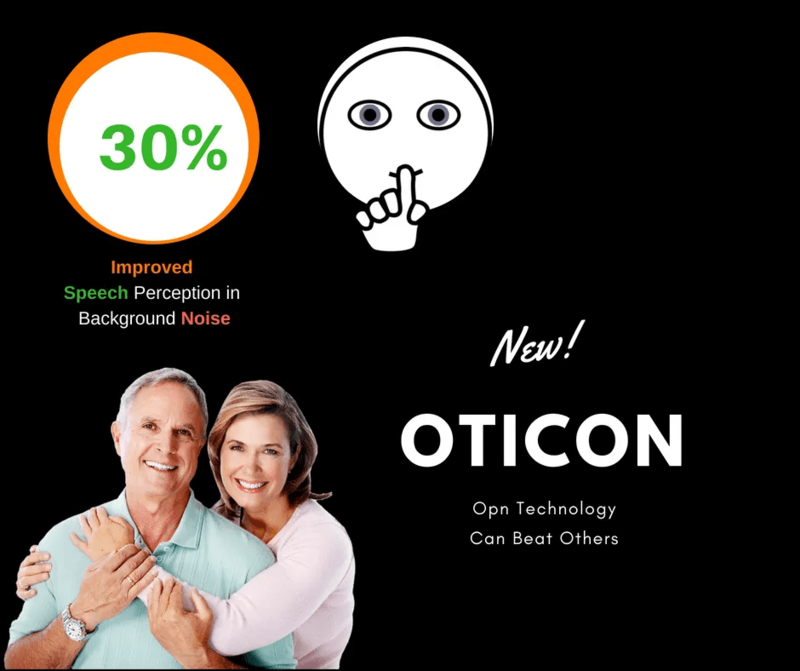 Oticon Opn™ allows the brain to follow and process multiple sound sources in noisy environments. As a result, listeners can confidently engage with the world around them. Oticon Opn™ accesses the If This Then That (IFTTT) network, so listeners can connect to and control a range of daily devices—from emails and alarms to TVs and laptops. OpenSound Navigator scans the full 360° sound environment more than 100 times per second, removing noise and balancing sounds, so listeners can focus or switch attention when desired. With Spatial Sound ™ LX binaural data is transmitted at streaming speed from one ear to the other, making sure the most precise spatial information is delivered to the brain. TwinLink, the world’s first dual wireless communication system, powers connectivity and binaural processing simultaneously, so listeners can access a richer sound experience and faster connections. The extreme speed and precision of the Velox processing platform supports how the brain makes sense of sound, helping listeners focus on what’s important to them with less effort in rapidly-evolving soundscapes.